Bob Yukes is a multi-level marketing veteran having worked eight years as a CFO in the industry prior to joining EMA. As CFO at his previous endeavor, he was instrumental in raising $1 million dollars of additional financing to aid their expansion into international markets. Bob has over 25 years of work experience in accounting and finance for large and small companies. Earlier in his career, he worked 15 years for larger companies like Best Foods, Continental Grain, and Prudential Securities with various job responsibilities in accounting and finance. Since then, he has worked as CFO for three different start-up companies. Bob earned a BS degree in Physics and then an MBA degree in Finance from Brigham Young University. He has three children and recently became a grandfather. Bob enjoys the excitement and challenge of helping to build a new company. With Bob’s track record of successes and his intregrity, Bob is the right person to lead EMA. As a President, Bob is eager to take EMA to the next level. 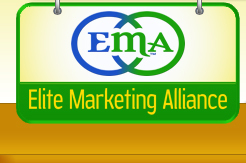 He will ensure that EMA become a premier company in the nutritional industry.